There are multiple ways by which keyboards can be dated. Within Keycombo, as many of these dates are recorded as possible, in part because they can be misread, and in part to increase the amount of data available. Typically, only one or two types of dates will be found on a single keyboard, if indeed there are any dates present at all. In many cases, the date is in the form of the year and the week within the year. Typically this is four digits; e.g. “9045” means the 45th week of 1990. Cherry date codes use a letter for the year, e.g. “C45” means the 45th week of 1990 (“C”). See Cherry date codes on the Deskthority wiki for a full list of year letters. It appears that Mitsumi’s full eight-digit “price label” stickers might reverse the order, with the above date being printed as “4590”. The year appears certain; the two preceding digits are not guaranteed to indicate the week. The different date sources are illustrated in detail below. 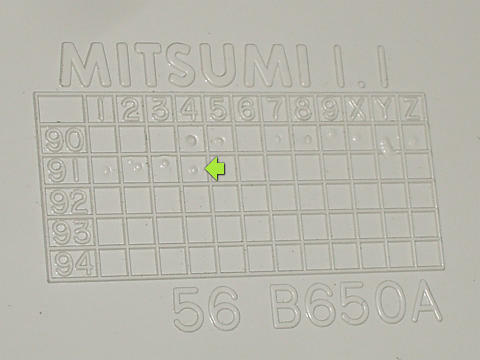 Because Keycombo cannot sensibly understand every possible type of date code, I use a certain amount of discretion, such as using the label on a Mitsumi membrane backplate as a “PCB” date, or the date on a circuit component that is not a microchip, as an “IC” date. 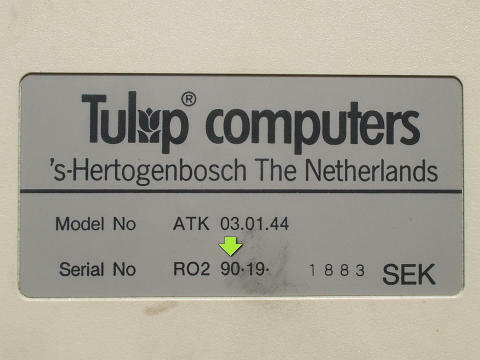 The most readily accessible date source is the label on the back of the keyboard. 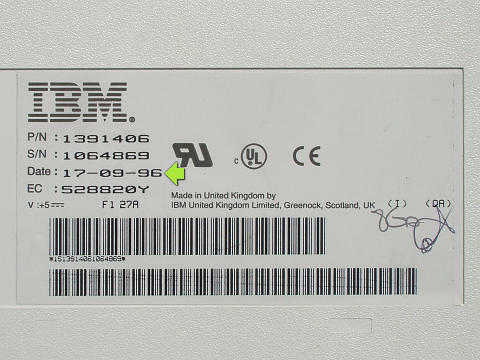 The date may take various forms: Cherry use cryptic codes, some brands place the date into the serial number, and in some instances the manufacture date is written in full. The next best date source is the case moulding. 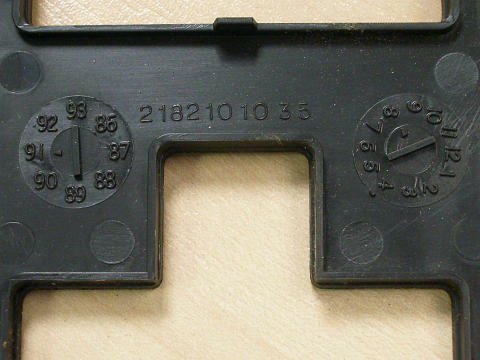 Case mouldings provide unambiguous, easily readable dates. Most keyboards contain at least one integrated circuit. In many cases, this is the microcontroller (computer on a chip) that drives the keyboard, which on a modern keyboard may be the only IC present. Older keyboards in particular typically have additional support chips. These chips typically a manufacture date; this date is frequently in the four digit year-week format (“YYWW”), but other formats have been used. Unfortunately, the date codes often feature extraneous (for our purposes!) letters, while a lot of product codes also contain exactly four digits, so identification of the date code can be tricky. 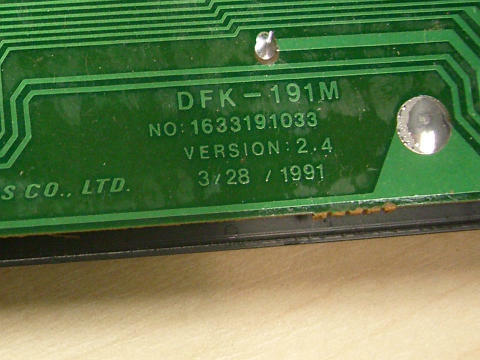 In the case of the Necam 96 keyboard, note the chip on the right that reads “D8251AFC” in large type, and “8444K8” in small type. 8444 (week 44 of 1984) is the date code (which is consistent with the other chips), while D8251AFC is the NEC model number of a second-sourced Intel i8251 Programmable Communication Interface (it is adjacent to a D8243C, a second-sourced Intel MCS-48 Input/Output Expander, suggesting that the chip with a paper label over it is an Intel MCS-48 family microcontroller). For more details, including manufacturer-specific formats, see IC date codes. 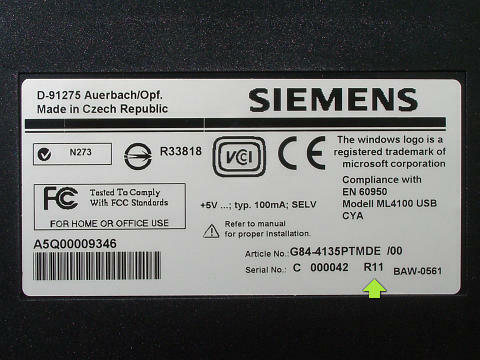 Keyboards typically contain at least one printed circuit board; this is true even of rubber dome over membrane keyboards. 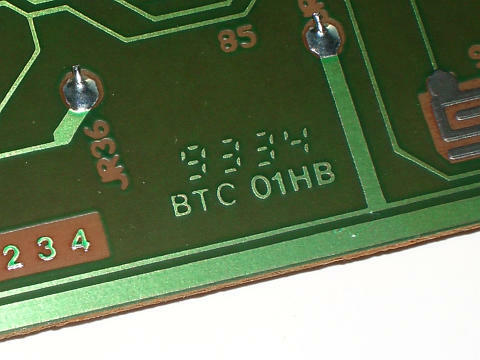 In some cases, the PCB is dated by way of etching or by a paper label. Four digit week-year codes can be found especially on Hi-Tek/NMB keyboards. 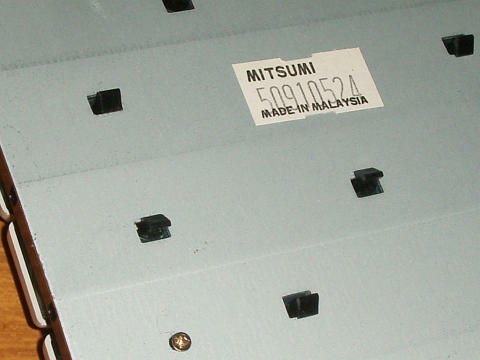 Mitsumi use their “price sticker” labels that give just the year (in six-digit form), or possibly the week and year (eight-digit) codes. 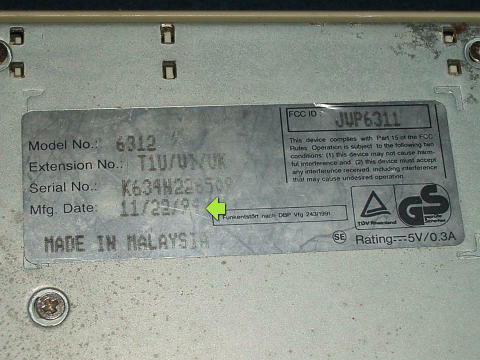 Be aware that many PCBs also bear a copyright year; this is the year that that the circuitry was designed, and is not necessarily the year that the keyboard was made. 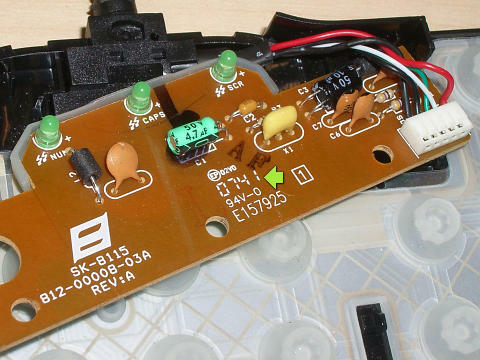 In the case of Chicony, whose PCBs typically name the switch type used, drop-in replacement switches (e.g. Aristotle for Cherry MX) may not result in a new PCB being drawn up. If all else fails, sometimes the only option is to cite the range of years that a product was known to have been made. For example, the Canon Cat was only manufactured in 1987, so Jayson Elliot’s SMK keyboard example must be from 1987. The product year can be specified either as the date of introduction (e.g. the Apple M0110 keyboard was introduced in 1984 as part of the Macintosh) or the full date range (e.g. 1987-1987 for the Canon Cat keyboard).